They come to me suddenly – the words and the tune of an old forgotten song and I’m transported back in time. I could sing almost before I could talk, mostly because I was surrounded by music very young. My husband is always amazed at how I can remember so many tunes and the lyrics of songs. It’s difficult to explain how music is such a part of my memory and how a song can trigger a flood of memories. Just the other day, I heard the song Popcorn by Gershon Kingsely and off I went down memory lane – I could remember when I first heard that song and even see the cover of the vinyl in my mind! According to studies music can take you back two generations! “Music transmitted from generation to generation shapes autobiographical memories, preferences, and emotional responses, a phenomenon we call cascading ‘reminiscence bumps’. These new findings point to the impact of music in childhood and likely reflect the prevalence of music in the home environment.” – Carol Lynne Krumhansl from the study by Cornell University. 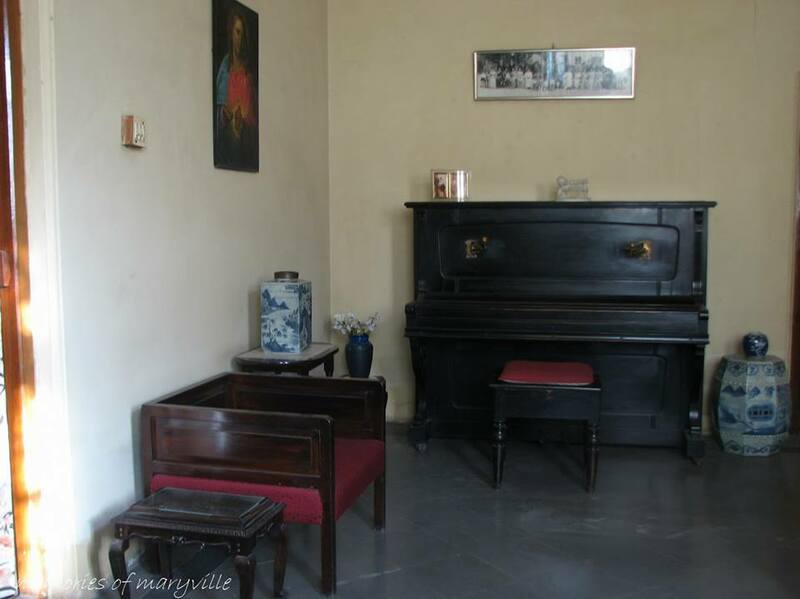 As Christmas comes around, my mind takes me back to this room – the sitting room in my paternal grandparents house – where Christmas eve was a such a wonderful time for family, good food and loads of music. I can easily associate every uncle and aunt with a particular song. Perhaps I haven’t mentioned that my Dad is one of 15 siblings! So that’s a lot of songs – and a lot of memories. Each cousin had a song to perform too at the Christmas party – not necessarily carols but songs we had learned through the year and some that became ‘our songs’. A few years ago my uncle presented me with a recording of ‘my songs’ when I was three years old. These were songs my mother taught me – songs that were popular at that time – the ’60s. So there I was, all of three, belting out The Seekers’ ‘The Carnival is Over’ and ‘Walk With Me’! I can still sing every verse from memory – 46 years later. Then as my uncles and aunts continued bringing music into our lives from their travels, and my eldest brother developing his taste in music I was introduced to so many other artists. The beauty was the variety of artists and genres – The Bee Gees, The Beetles, Val Doonican, Creedence Clear Water Revival, Johnny Cash, Glen Campbell, Willie Nelson……..and Louis Armstrong and Danny Kaye. Talk about oldies nostalgia for baby boomers! Does music transport you back in time?